The Last Jew of Rotterdam. 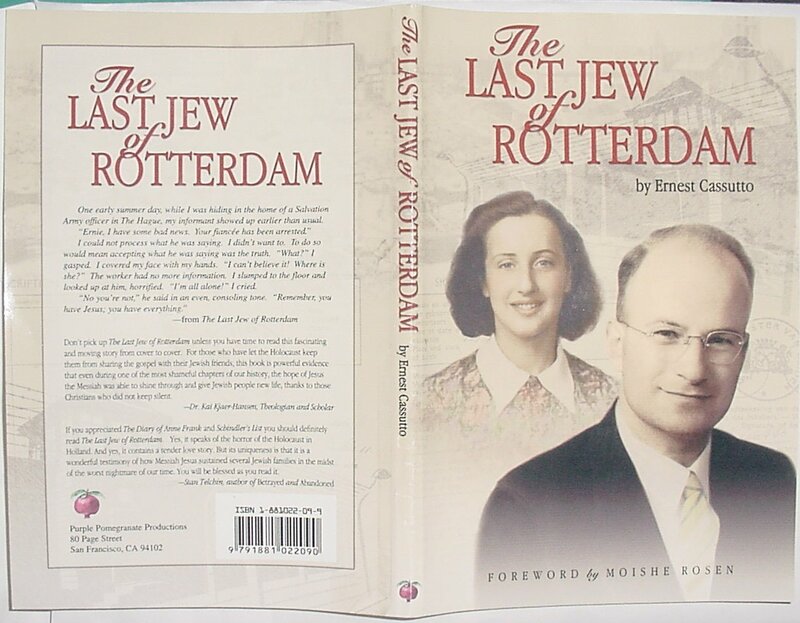 My brother, Benjamin Cassutto, acted as contributing editor for the reprinting of this new edition of The Last Jew of Rotterdam. If you would like to order to book, visit the web page of the author at Lightbeacon Ministries. Please note the The Last Jew of Rotterdam is not a historical account of the Holocaust or the occupation of the Netherlands under Nazi rule. Rather, it is the story of Ernest and Elisabeth Cassutto, and it tells the story of how their faith changed and developed in the face of the evil that had surrounded them. Certainly, the story is set in Holland during Nazi occupation, and the horrors of the Holocaust have a direct impact on the beliefs and actions of these people. But the book is a testimony to the Christian love of the non-Jews that helped Ernest and Elly, as well as to the confession of faith these two Jewish Christians made when they found the light of Christ in the darkness of the Holocaust. The historical aspects of their experiences are found within this website. This is the cover of the book written by Ernest H. Cassutto as told to Constance Faith Goddard in 1974. 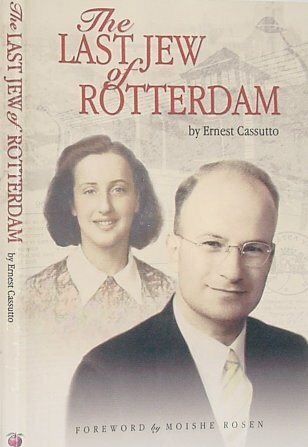 In his book, Ernest Cassutto describes how he grew up in Indonesia, came to Holland with his family, and was captured by the Nazi occupiers of his country. It also discusses how his wife survived, how their faith brought them together, and how their lives unfolded after the World War II. This is the back cover. The book is no longer in print, but the publishers at Whitaker House in Monroeville, PA graciously allowed me to use the cover of the book in illustrating this web page. The figure of the Nazi officer is that of the commandant of the prison camp in Rotterdam where Ernest was held until his escape in 1945. After the war, Ernest visited the officer on his deathbed and forgave him for the evil he had committed.